The rigs stay open even at Christmas time, it's tough being away from friends and family. 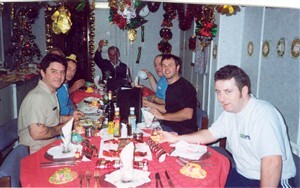 They still manage to find time for the traditional festivities, including Father Christmas and christmas dinner. 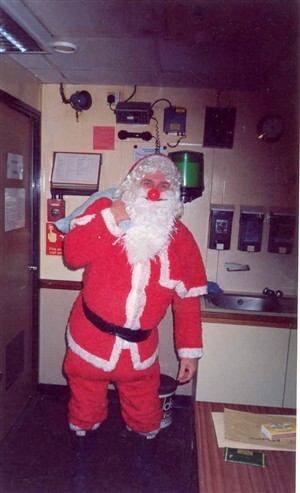 Anthony Randell (a steward onboard the platforms) remembers the rig supply vessels holding a Christmas Carol Service on the quay at Great Yarmouth before going out to the rigs with a Christmas tree for each platform and gifts for all the workers. 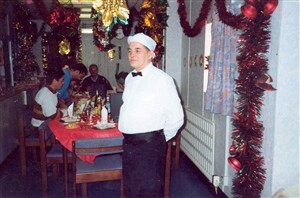 This page was added by Kaye Stott on 15/12/2006.